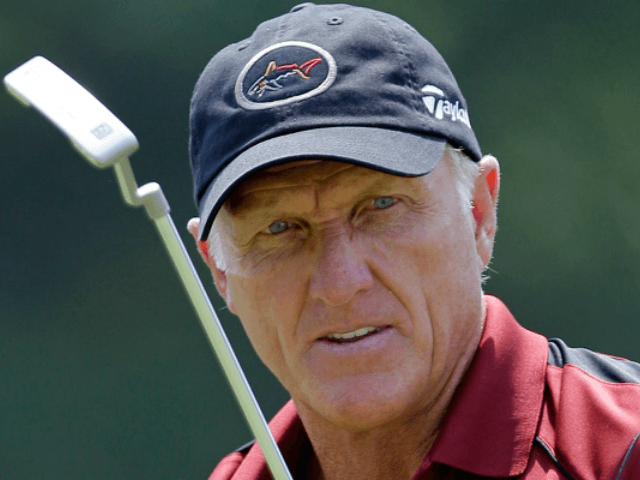 Golf legend Greg Norman was reportedly “called in” by officials of the Australian government, and asked to lobby President Trump on his plan to place tariffs on foreign steel. Foreign Minister Julie Bishop confirmed on Friday that Norman, a fast friend of the president, was asked to lobby Trump on behalf of Australia, according to the Sydney Morning Herald. “We’re calling in all contacts at every level. This is a very important matter for Australia, it’s also a very important principle,” Bishop told Australian Broadcasting’s AM program. “We’re making contacts at every level throughout the administration, including business representatives, to make our case,” Bishop added. Bishop also reported that she had contacted several New York businessmen who are close to the Trump empire, to lobby against Trump’s steel tariffs. According to the report, Australian Ambassador to Washington Joe Hockey, called Norman on behalf of Australian Prime Minister Malcolm Turnbull, to give Turnbull Trump’s personal cell phone number. “I don’t normally give out cell phone numbers of people in my database, but considering it was for the Prime Minister to call the President of the United States, I thought that would be the right thing to do,” Norman told the media. The Australian government’s urgency rose after the U.S. president announced that he intended to enact the tariffs as a remedy to trade imbalances. For her part, Minister Bishop insisted that in a meeting last year Trump told Australian officials that if he instituted tariffs, Australia would be exempt from the policy.